Consular Processing, Tax Transcripts, Site Update, Missing Documents, Intracompany Transfers, Student Visas, Lawsuits, Travel Ban, Delays, Naturalization, USCIS 1-800 Number, Asylum, Instruction inconsistencies, U-Visas, EADs and Alien Number, 90 Day Rule, Pending I-130 cases and visiting the US, International Visa Fraud, Law Firm Identify Theft, Citizenship and Passports with Statement Department over Gay Marriage, Transgender Rights and Lack of Due Process, Overstay Travel on Advance Parole and Triggering the 3-10 year bar (Matter of Arrabelly) , Signing immigration forms, Status v. Period of Authorized Stay, INA 245(k) Adjustments and Parole, 3 Year Bar if have NTA, Remarry after I-130 of old marriage and apply new petition, Medical Requirement and mandatory X-rays for TB, Translation Requirements for NVC, working for free, Wikileaks and Consular Stories, Consulate and Policy Changes at regular intervals. Recap of Immigration Law and Practice Updates/Changes Affecting Practitioners. 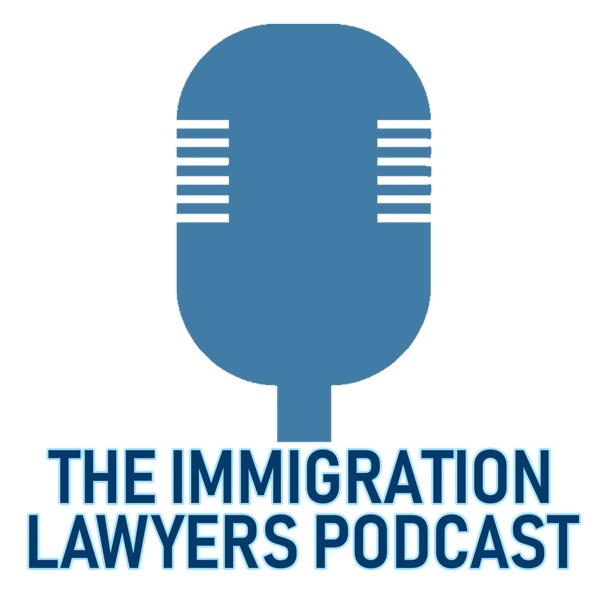 Episode 77 - Interview with Business Immigration Attorney Lorenz Wolffers. Discussing Current Immigration Trends and Practice. Interview with Attorney Peter Afrasiabi about his new book "Burning Bridges: America's 20-year crusade to deport labor leader Harry Bridges"
Episode 48: Weekly Recap of July 3-9, 2017. Please Note: The initial release of this episode only had a portion of it. The complete episode is re-released here. Tips and discussion about CBP, the NVC's new online system, the Effects of the Executive Order and delays in some Naturalization Cases for March 4-11, 2017. Covering the recent change in Cuban Immigration policy for the US in a historical context. A complete review of the newly proposed regulations allowing foreign alien entrepreneurs to be paroled into the US for business start-up activities. Abandonment of Green Cards - How these cases are analyzed based on case law history. Episode 11 - Interview w/ OFAC Attorney Mehrnoush Yazdanyar Esq. 26:00 - How does the relationship with your firm and the immigration attorney work? a - Which Investment would you do? The are supposed to recommend. b - Can you guarantee the investment? Explain why guarantees are not possible. c - When do I get my money back? Describe "wind down" decisions. Host John Khosravi's Interview and Discussion with Los Angeles Tech Entrepreneur and law firm management and marketing expert Michael Chasin, Founder Lexicata.com and LawKick.com. 03:30 "Not having a boss"
03:50 Starting legal marketing site "Law Kick"
Host John Khosravi's Interview and Discussion with Los Angeles Immigration Lawyer Tahmina Watson (http://www.immigrationlawyersinseattl...) Founder of Watson Immigration Law and Author of: "The Startup Visa: Key to Job Growth and Economic Prosperity in America". 11:12 Why she came to the U.S.
25:00 Advocacy for "Start Up Visas"
Host John Khosravi's Interview and Discussion with Los Angeles Immigration Lawyer Heather Poole (http://www.humanrightsattorney.com/), a Managing Partner of the Law Firm Stone, Grzegorek & Gonzalez LLC, well known Immigration/Human Rights Attorney, former Southern California AILA Chair and Member of the National Board of Governors. Immigration Attorneys John Khosravi and Belma Demirovic Chinchoy discuss the recent US Senate Bill proposed to renew the EB-5 Immigration Investor Program, in particular in regards to Regional Centers and their affect on foreign Aliens looking to gain a US Green Card (Lawful Permanent Resident Status) by making an investment in the US.